Back in the days of Windows 8.1, Microsoft had cranked up the device limit per Microsoft account to a generous 81 devices (I guess to make it easier to remember if you came across the question during a trivia night). 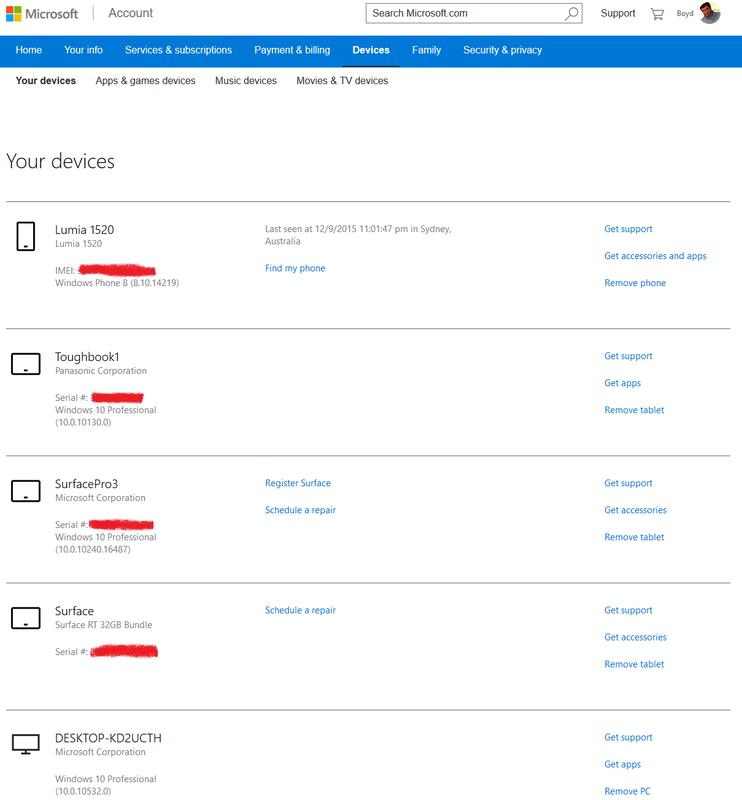 However, in Windows 10, this has been slashed back down to just 10 devices. What you may not realise is whenever you install an app on a device under your login it is added to your Microsoft account. This isn’t made explicit during the initial app installation process so you could have a huge number of devices clogging up your Microsoft account. You should also remove your Microsoft account from these devices. However, if you’ve already reset it back to factory default or manually reformatted and reinstalled Windows yourself then you’ve done everything necessary to prevent the device showing up again under your account. Given that I no longer own the Toughbook and Surface RT those will be coming out along with several virtual machines I have been using to test Windows 10.